How to Make Easy Lamb Stew: 1. In a large dutch oven pot, saute chopped bacon over medium heat until golden brown and fat is released. Remove bacon with a slotted spoon to a large plate. 2. While bacon cooks, season trimmed and chopped lamb pieces with 1/2 Tbsp salt and 1 tsp black pepper. Sprinkle with 1/4 cup flour. Toss to combine and coat the meat in flour. Cook the lamb �... Set the temperature to a low temperature -- no more than 325 F. Cook the lamb shanks until the temperature reaches 145 F to avoid illness -- about 40 to 45 minutes per lb. 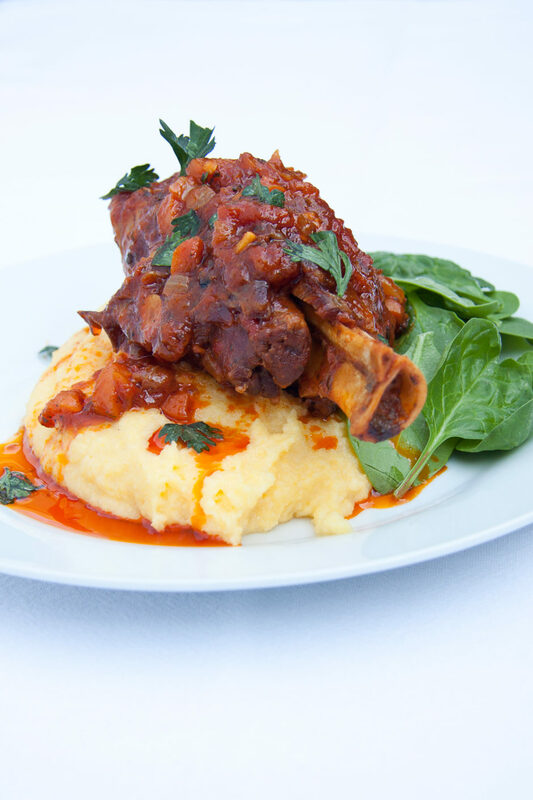 Kids can be especially susceptible to serious food borne illness, including E. coli, so don't risk illness by undercooking the lamb shanks.